The EIR also omits cancer risk information and hypes potential negative impacts of the cleanup, presenting a very inaccurate assessment of the SSFL cleanup. 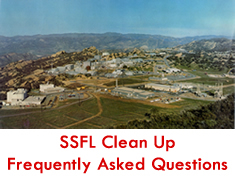 Tell DTSC to keep its promises and require ALL SSFL contamination to be cleaned up! To make matters worse, Boeing has pulled out all the stops by releasing a website called “Protect Santa Susana” urging people to submit comments to DTSC and elected officials recommending a cleanup that would leave most of the contamination not cleaned up! 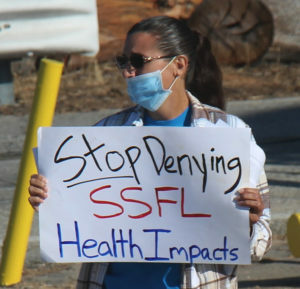 The Rocketdyne Cleanup Coalition and other cleanup advocates have launched a new website, Protect Santa Susana from Boeing, to fight back and bring attention to the Boeing Company’s unscrupulous efforts to walk away from cleaning up most of the nuclear and chemical contamination at SSFL by claiming it is “protecting” the polluted site. Our website also reveals why we urgently need the community to take action by submitting a comment to DTSC. Comments on the draft EIR are one of the most important and final opportunities for the public to weigh in on the cleanup. Please tell DTSC that it must uphold the AOC cleanup agreements and demand that Boeing cleanup ALL of the contamination on its property! This entry is filed under Santa Susana Field Laboratory.